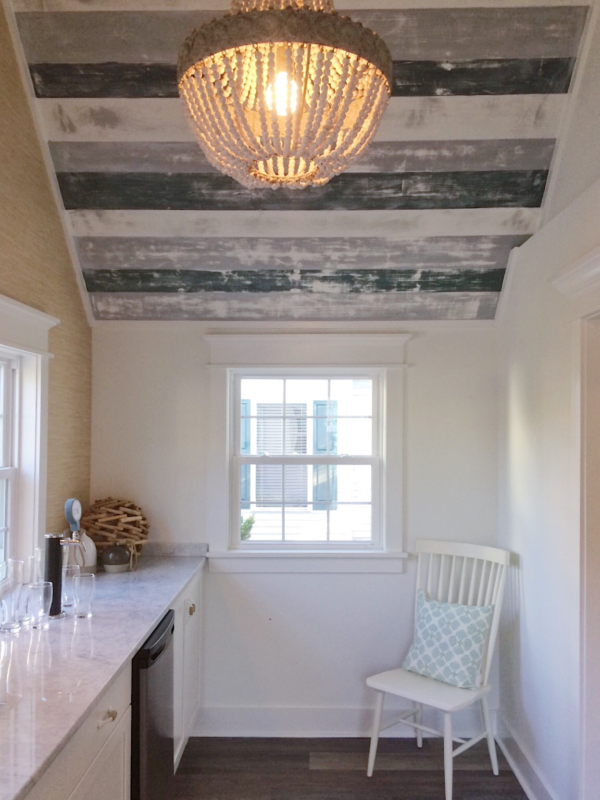 Many people fantasize about purchasing a run-down fixer-upper with great bones and turning it into the home of their dreams. And while doing so is often the best way to purchase your slice of a top-notch location without the killer price tag it usually comes with, it’s not always as easy as it seems. Years of neglect, exposure to the elements, and out-of-date systems can be costly and painstaking to remedy, as my clients Stacy and David quickly discovered. 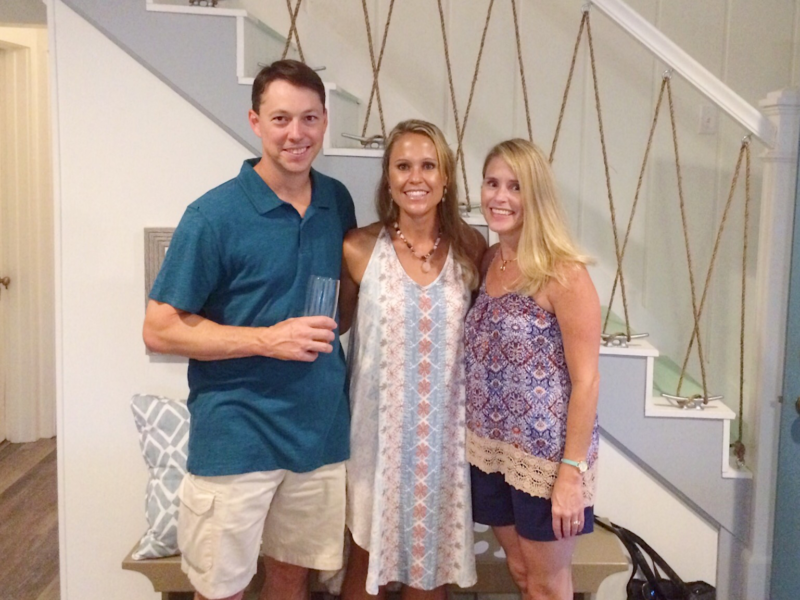 Stacy and David purchased their 50-year-old home in a beautiful area of Dewey Beach – an especially narrow part of the Delaware Coast where the ocean and bay are only a few blocks apart. 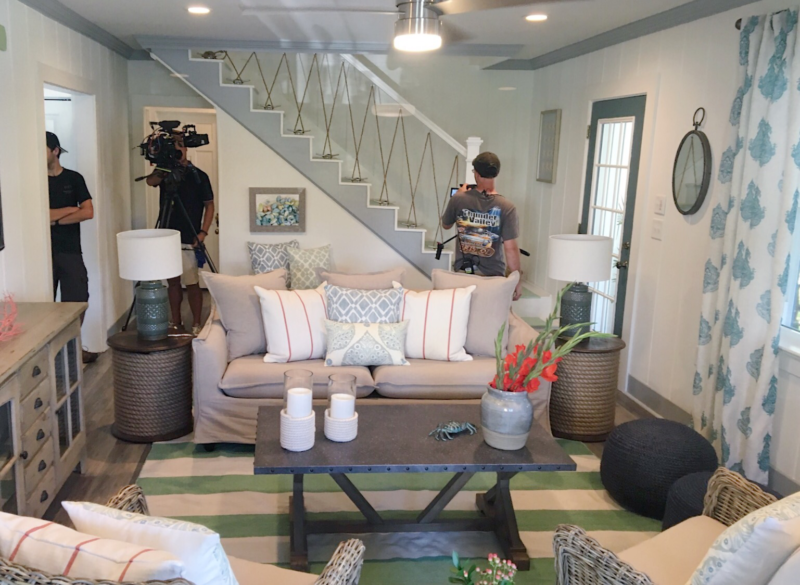 The couple had high hopes of turning this fixer upper into a safe, welcoming beach retreat for their two sons, but the job of updating it was overwhelming. Years of neglect and water damage had rendered much of the home structurally unsound and much of it needed to be completely redone. Stacy and David did some of the updates on their own, but they had finally reached a point where they needed to call in reinforcements (me!) to turn this soaked and soggy fixer-upper into the beach home of their dreams. The exterior BEFORE (water stains and all!) and the roof deck in progress. PROBLEM: Before we got started, the deck was in terrible shape and virtually unusable. There was also no way to access it. The exterior the of the home was stained from water damage and neglect. 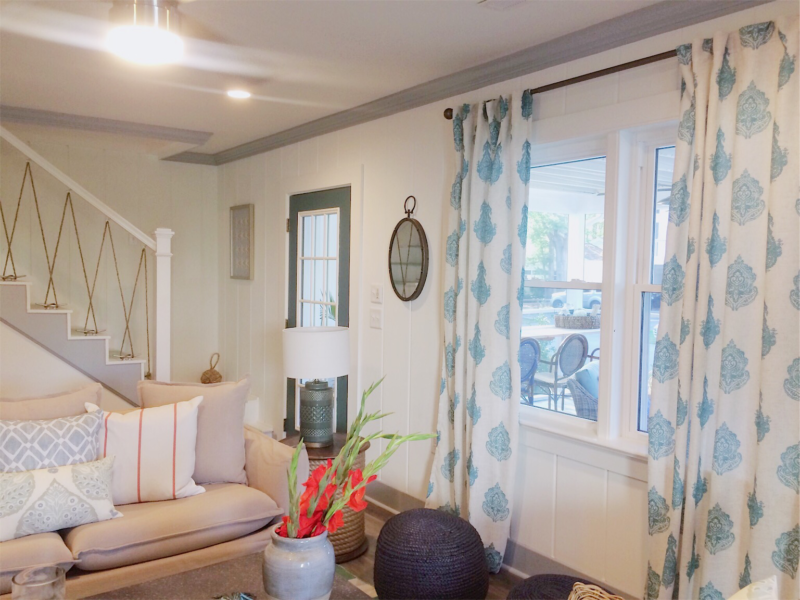 Stacy and David envisioned a space where people could come and go as they please, and one that could afford them that outdoor summer living that they craved. 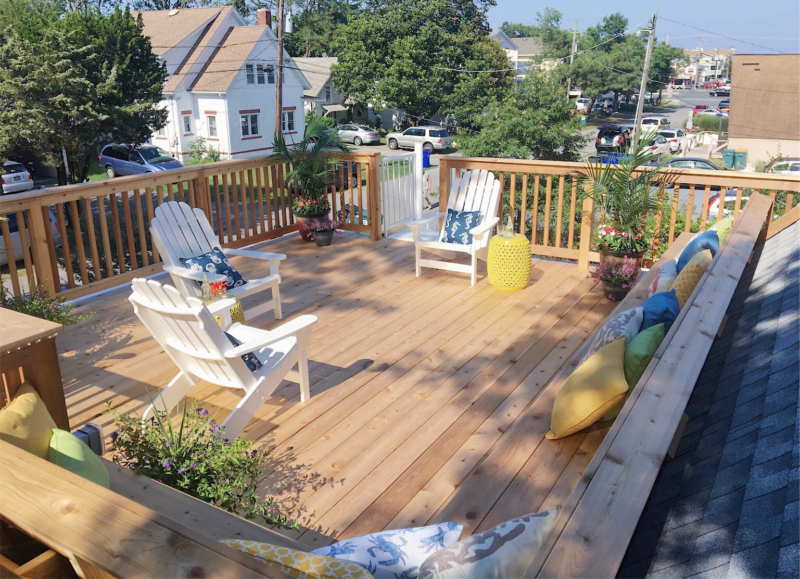 SOLUTION: While many people would have torn down the roof deck, we need we wanted to save it (I love roof decks – I’ve even slept out on them before!). So we started by rebuilding the deck with weather-resistant materials, making it structurally sound and ready to stand up to the elements. 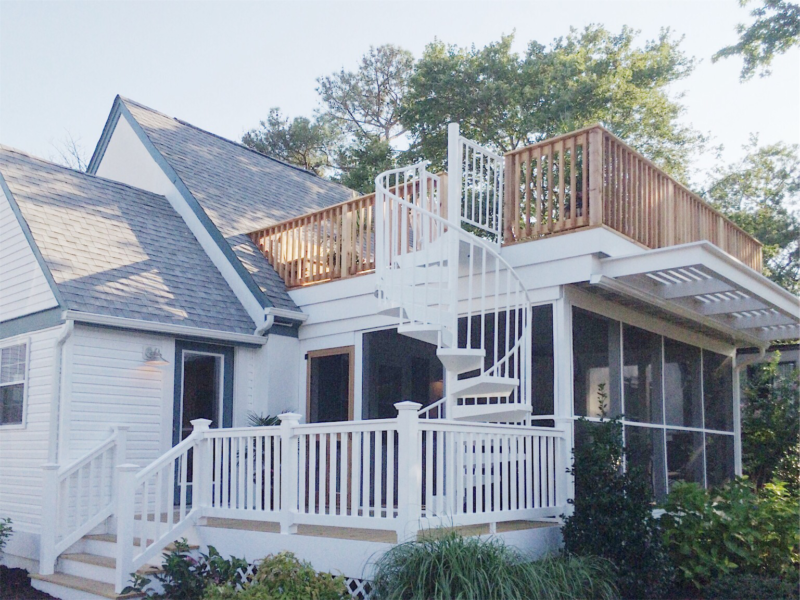 We also added a spiral staircase that led directly to ground level, so the family could go straight from the beach to the deck without tracking sand through the home. 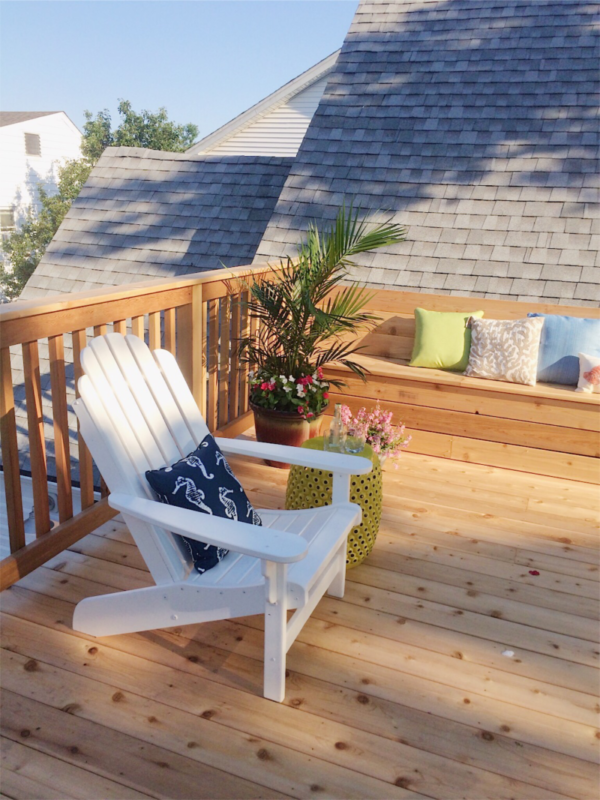 One issue with decks is securing furniture – especially in the high winds that the coast experiences (sometimes hurricane force!). 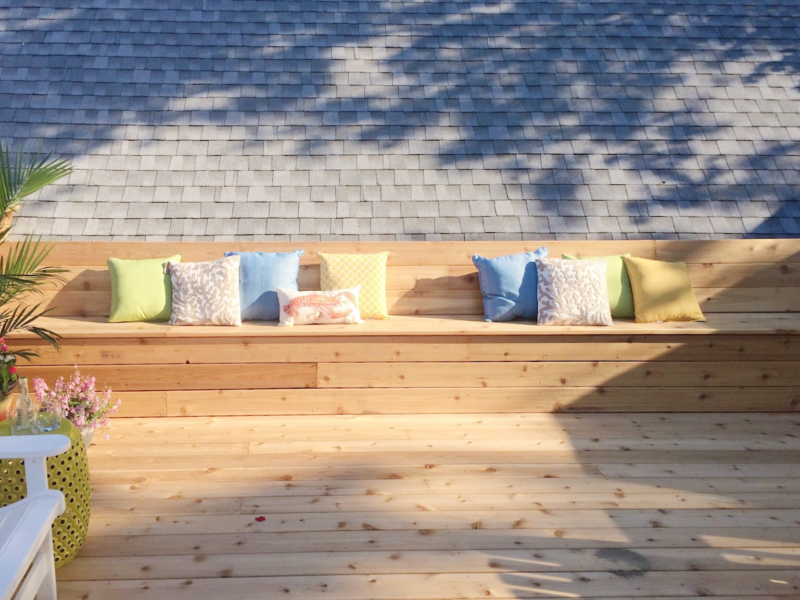 To ensure plenty of seating that wouldn’t budge in a storm, we designed a built-in bench that ran the whole length of the deck. The best part of the roof deck? It has an ocean view! But the home still lacked curb appeal. 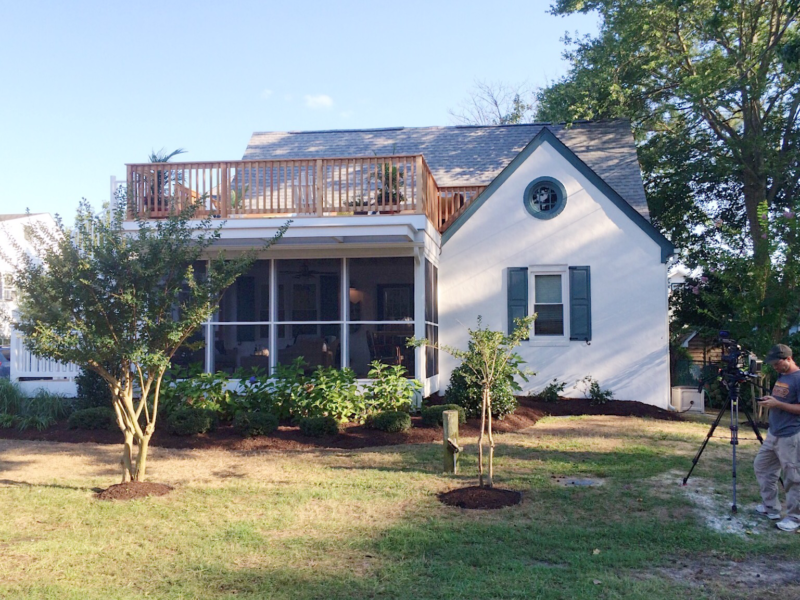 We remedied that a fresh coat of exterior paint, new trim paint, and brand new shutters that match the trim. 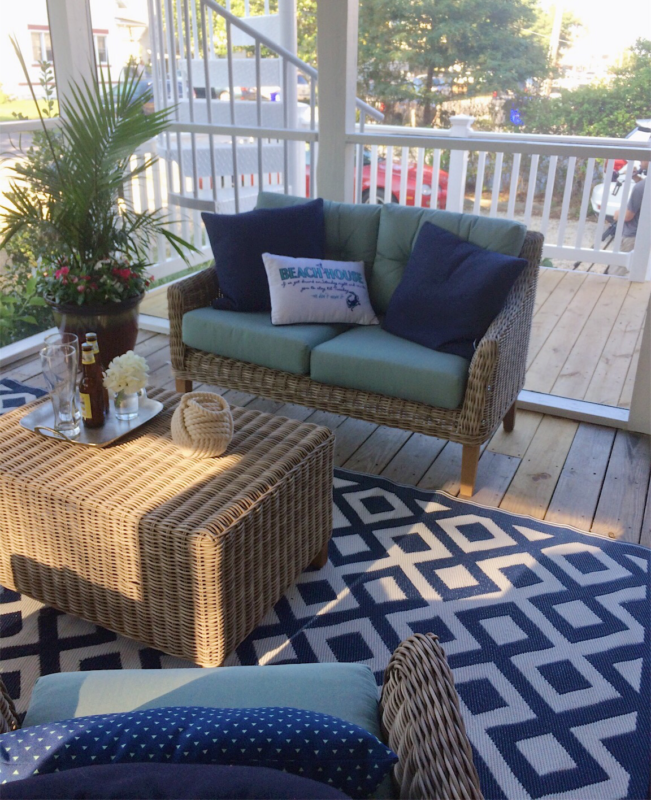 The result is the charming beach cottage look the couple always wanted – a far cry from the water-stained fixer-upper they purchased! PROBLEM: The old lower deck had the same issues as the roof deck due to neglect and water damage. 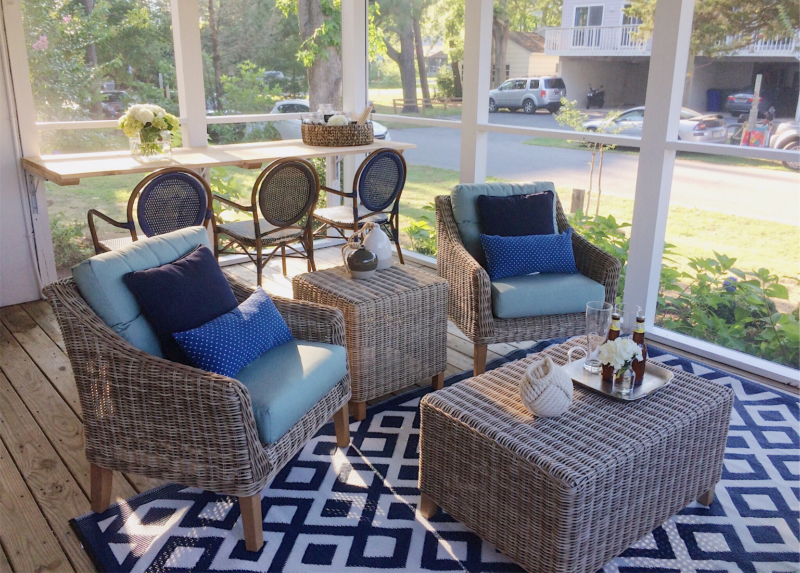 The space was dark and uninviting, and the screen on the porch desperately needed replacing. Stacy and David hoped this outdoor area could become a more usable entertaining and dining space for them and their guests. 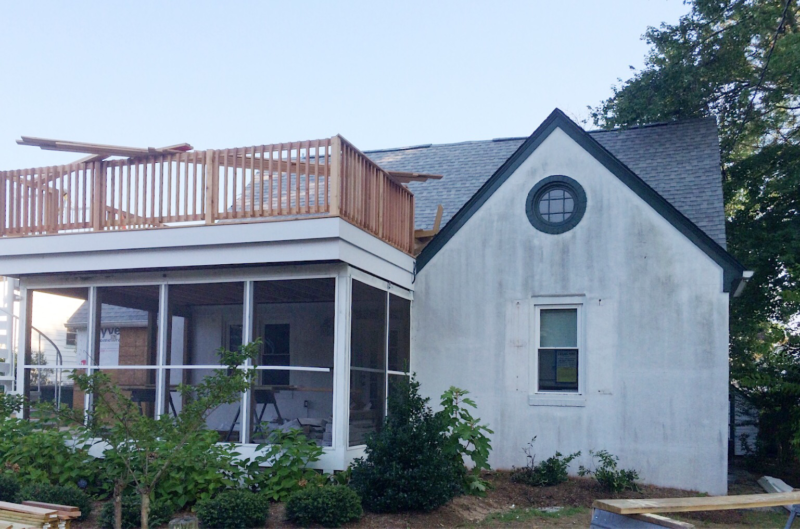 SOLUTION: I started by laying all new decking on the lower deck and replacing the old screen around the porch area. I also painted the rafters to brighten the entire space. A built-in, fold-down table provides extra dining space when the couple needs it and more space to move around when they don’t. We replaced the old front door with a new one painted in the same color as the exterior trim, with glass panels in the center to connect the outdoors with the indoors. I also added a second exterior door going from the lower deck to the soon-to-be party cove. 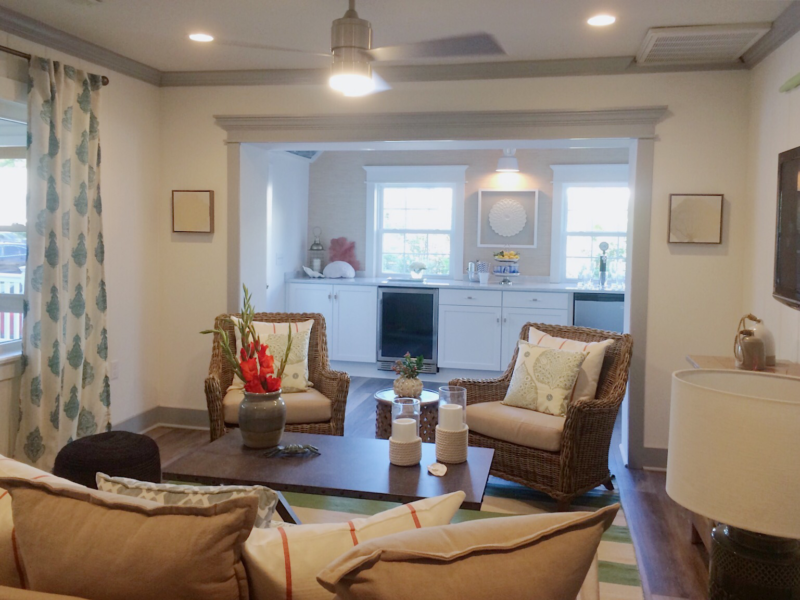 Lastly, I gave the entire space a facelift of color, texture, and pattern with weatherproof furniture and accessories. PROBLEM: This space was formerly an extra side room off the living room that the family wasn’t really sure what to do with. It had old wall-to-wall carpeting, low ceilings, and felt disconnected. 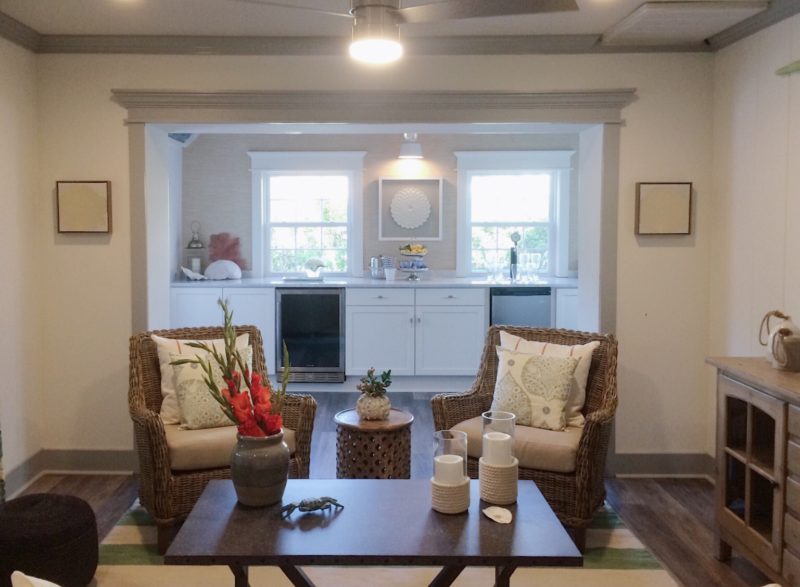 The home has a smaller footprint, so Stacy and David hoped to reclaim this area and make it more conducive to the beach lifestyle they envisioned. 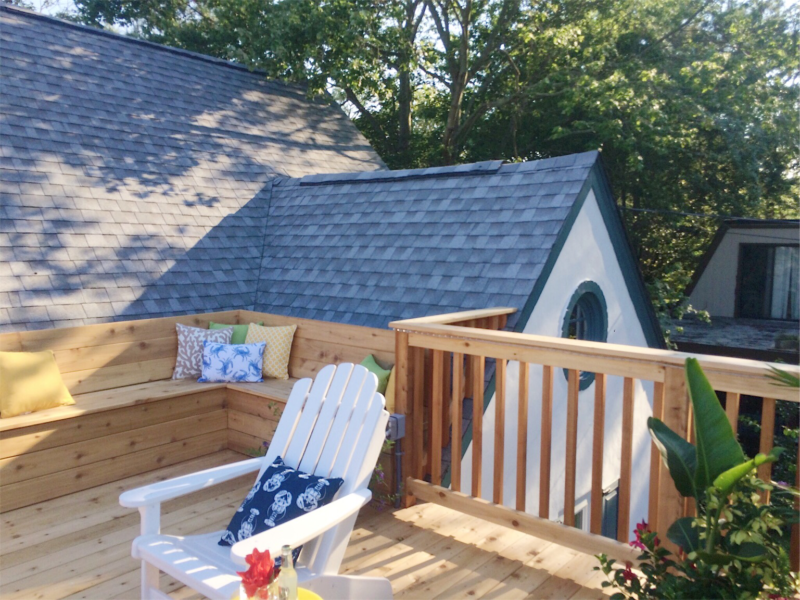 SOLUTION: My goal for this space was to create not only a bar/party cove where the family and their guests could get drinks and food while enjoying the deck and porch without trekking through the home to the kitchen. I knocked down the concrete wall that separated the space from the living room to create one larger, shared space. 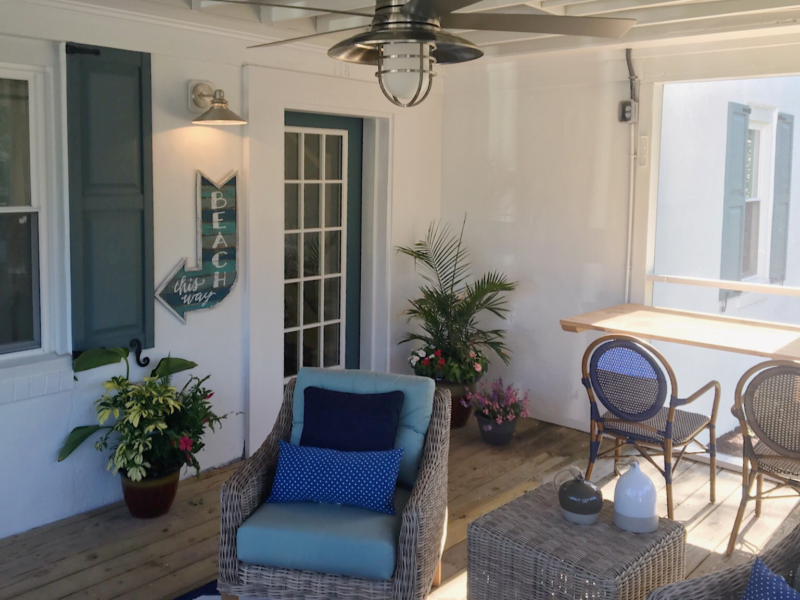 A new exterior door now provides direct access to the outdoor living areas. To give the space an airy feel, I decided to vault the ceilings. I then paneled the new cathedral ceilings with painted, weathered-look wood in a variety of alternating hues, and topped it off with a statement chandelier. New windows now bring in lots of natural light, and grasscloth wallpaper adds needed texture. Lastly, I brought in cabinets for storage, plenty of counter space, a mini fridge, and a kegerator to serve all of Stacy and David’s entertaining needs. PROBLEM: The original living room was very closed off from the rest of the home, making it feel even smaller than it was. The staircase was unfinished and unsafe, and the room lacked personality. 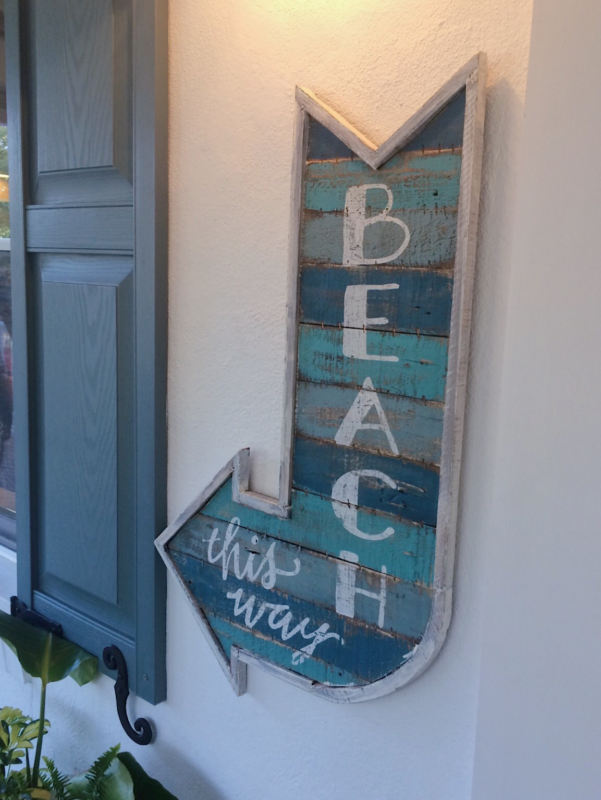 Because this is the first room guests enter into, Stacy and David wanted it to give a great first impression and have the beach cottage vibe they loved. 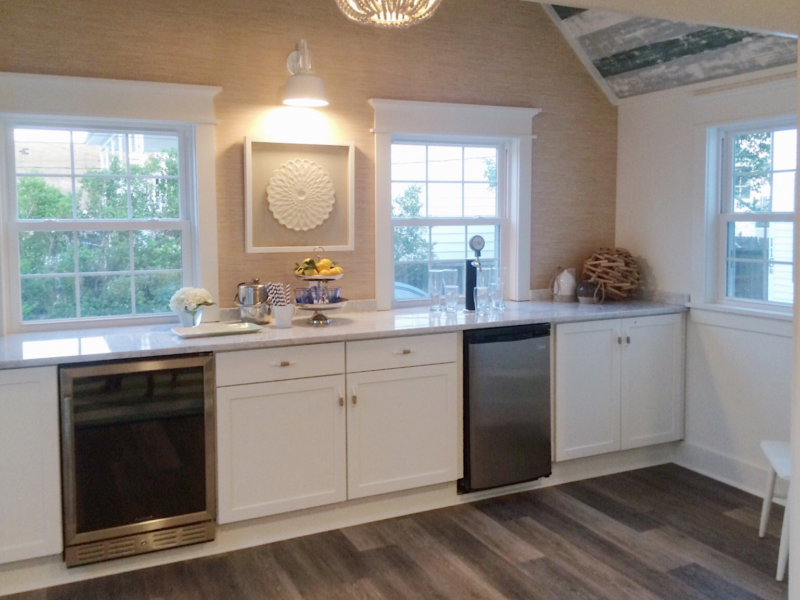 SOLUTION: With the wall between the living room and bar opened up, the space immediately felt larger. The addition of the large glass panel on the new exterior door also brought much-needed natural light. New blonde wood flooring lightened the space further, as did a fresh coat of paint on the walls, the trim, and the stairs. I knew the staircase needed to be brought up to code, but I also wanted to have fun with it. To create a nautical look, I secured boats cleats to the tread of each step and eye hooks to the underside of the railing, and then laced rope along the whole length of the railing (I made sure to twist the rope so that no one could fall through). 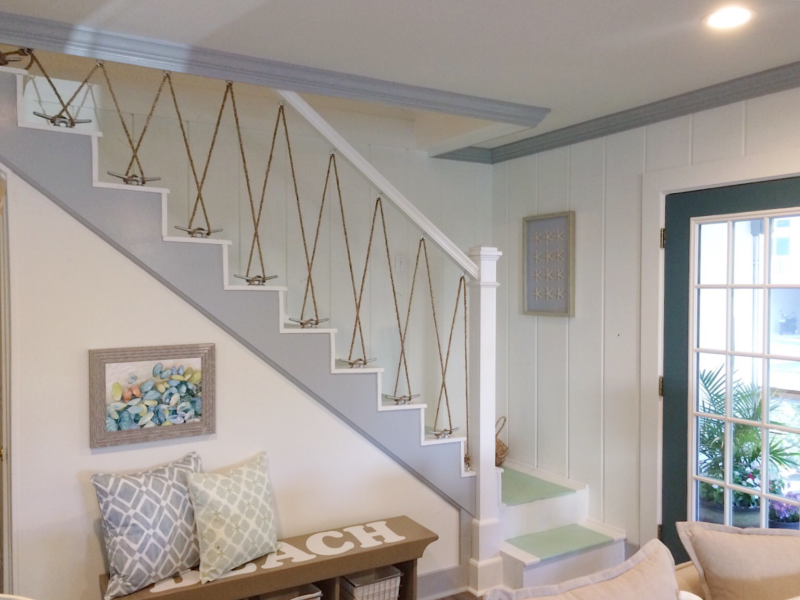 I installed clapboard siding around the entire room to really drive home the cottage feel, and then finished the space off with beautiful ocean-inspired furniture and accents (including some rope details to tie back to the stairs). 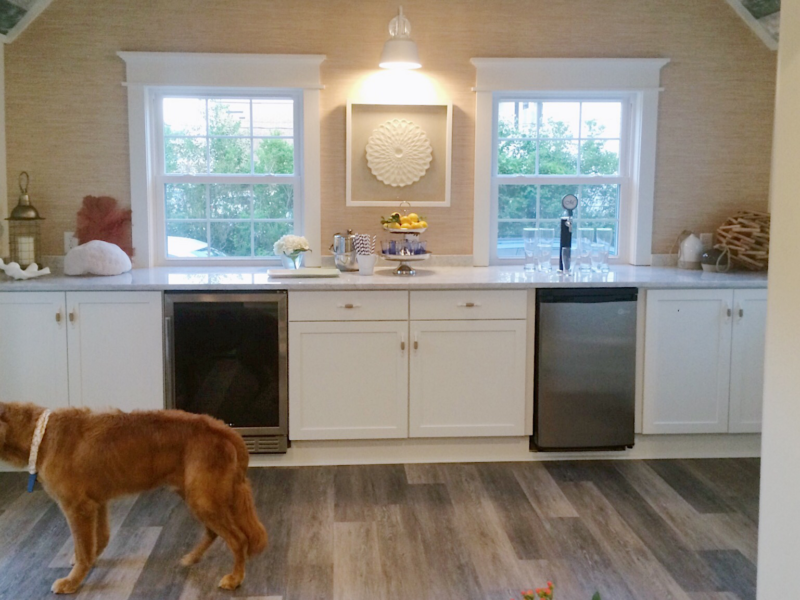 I really love the way this home turned out, and I hope Stacy and David do too. 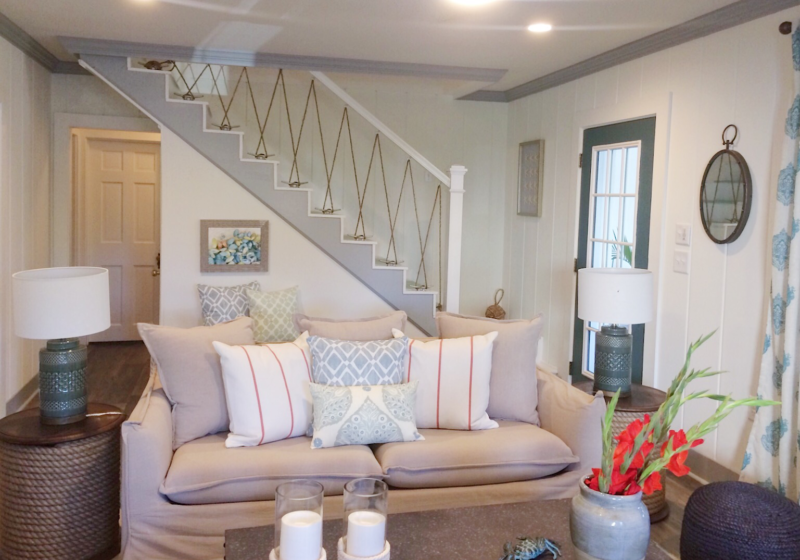 My team and I turned this run-down fixer-upper into a charming, party-ready beach retreat that the homeowners and their family can love and enjoy for generations. And this home is proof that you don’t need a ton of space to create something truly special! 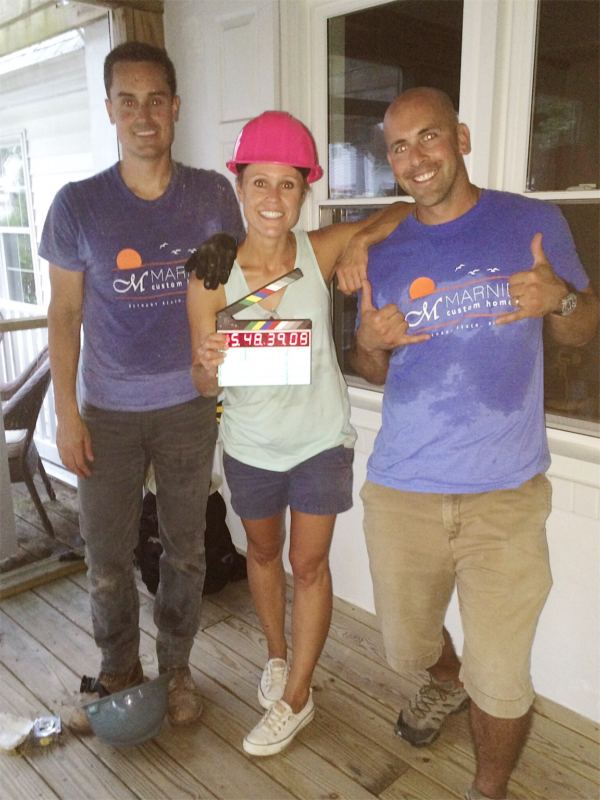 Next Monday night is the SEASON FINALE of #BigBeachBuilds! Can you believe it? Be sure to tune in to DIY Network at 9/8c to catch the final two episodes of the season (tune in an hour earlier to see this week’s episodes again). We really want to end with a bang, so please tell all your family and friends to tune in, too! P.S. 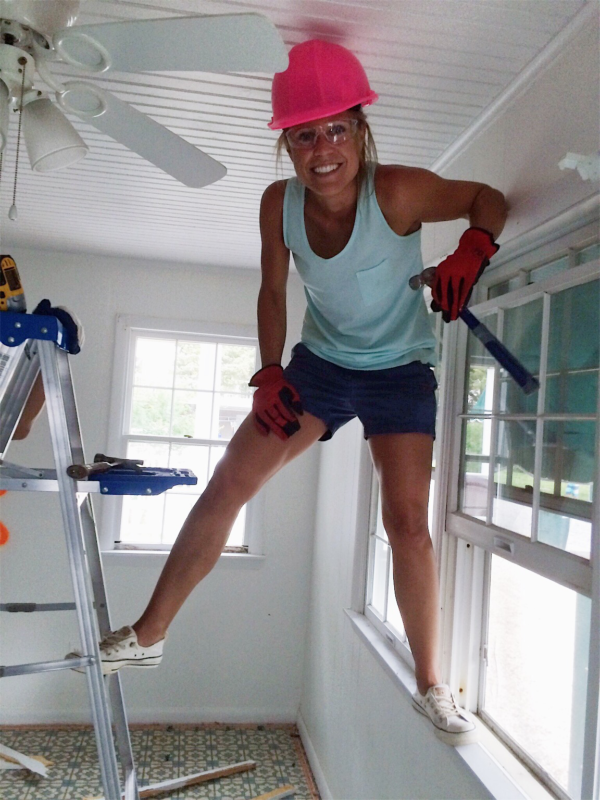 Revisit all the episodes from this year with my Big Beach Builds episode recaps.